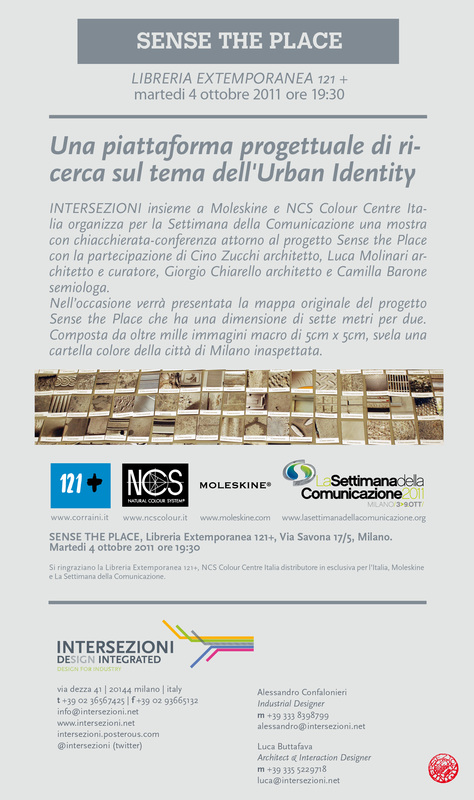 In the beginning of October Intersezioni organized an exhibition including a chat/conference about the Sense the Place project, featuring Cino Zucchi (architect), Luca Molinari (architect and editor), Giorgio Chiarello (architect) and Camilla Barone (semiologist). The exhibition was also hosting the original map of the Sense the Place project with a dimensions of five meters by two. Intersezioni in collaboration with Moleskine and NCS Italy are hosting an exhibition and talk around the project Sense the Place during La Settimanadella Communicazione (Milan’s Communication Week 3 – 9 Oct.), wih the participation of Cino Zucchi architect, Luca Molinari architect and curator, Giorgio Chiarello architect and Camilla Barone semiologist. Location: Libreria Extemporanea 121+, Via Savona 17/5, Milan. The Talk takes place on Tuesday, October 4th at 19:30. 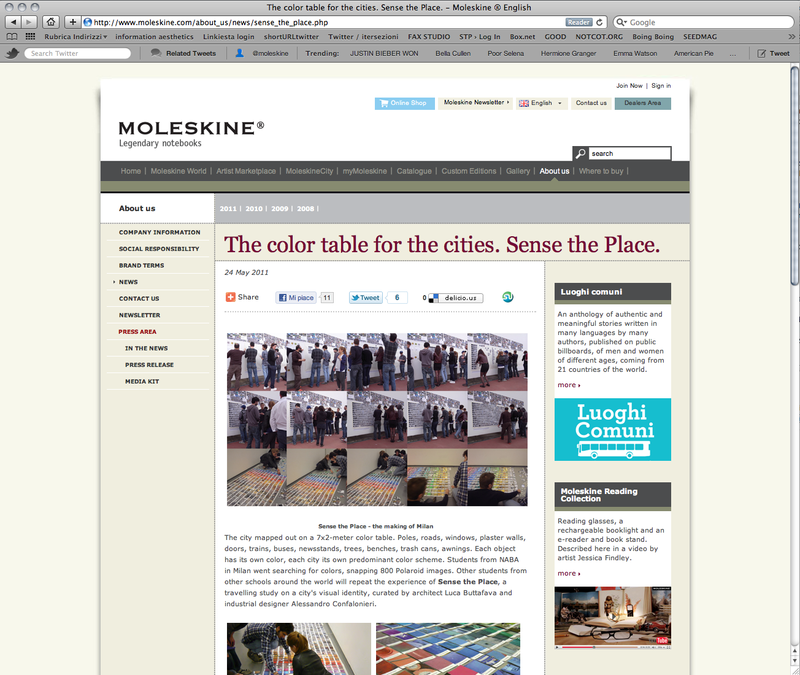 The color table for the cities. Sense the Place.